Celebrating Mary Oliver | The Secretan Center, Inc.
Mary Oliver passed away last week. For those who loved poetry and nature, Mary Oliver was a muse, an inspiration and a lyrical writer. 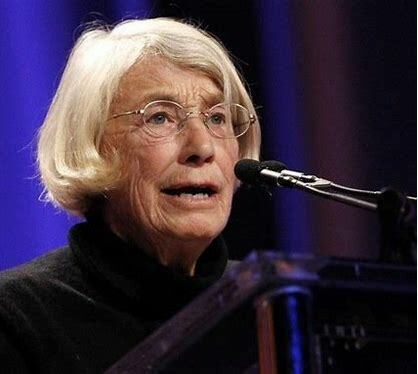 Mary Oliver made us think about our place in the world—and about living large. She invited us to live our Why-Be-Do®. How will these words affect your life going forward? Thank you, Mary Oliver, for making us think about what is important in the world and how to live lives that are large and inspiring. Her incredible poetry captures what we, who work in hospice experience: it is important each and every day for us to ask ourselves what will we do with our life and act on it. The journey will end, what legacy will we leave? We need to ask ourselves how we are living that legacy every day. Her work is so beautiful. …like a lovely warm bubble bath, where the comfort envelopes you and there is time to reflect and dream! Thank you for sharing this Lance. These inspiring words are a welcome reminder to be present and to celebrate the gift of Life that we all have to experience. Tony, so pleased to see you commenting. I hope you continue to thrive and dazzle everyone with your creative messages and activities. Thank you, Lance–I hope there will be many opportunities to keep Mary Oliver in our hearts and minds for many years to come. Hope all’s well in your world! David, good to see you here – so long since we have caught up with each other. All is well in my world, very busy and book #22 (www.secretan.com/thebellwethereffect) is pulling me into old and also new clients – very rewarding. The heart keeps mending! Isn’t that a fabulous question? What if we asked ourselves this every day?